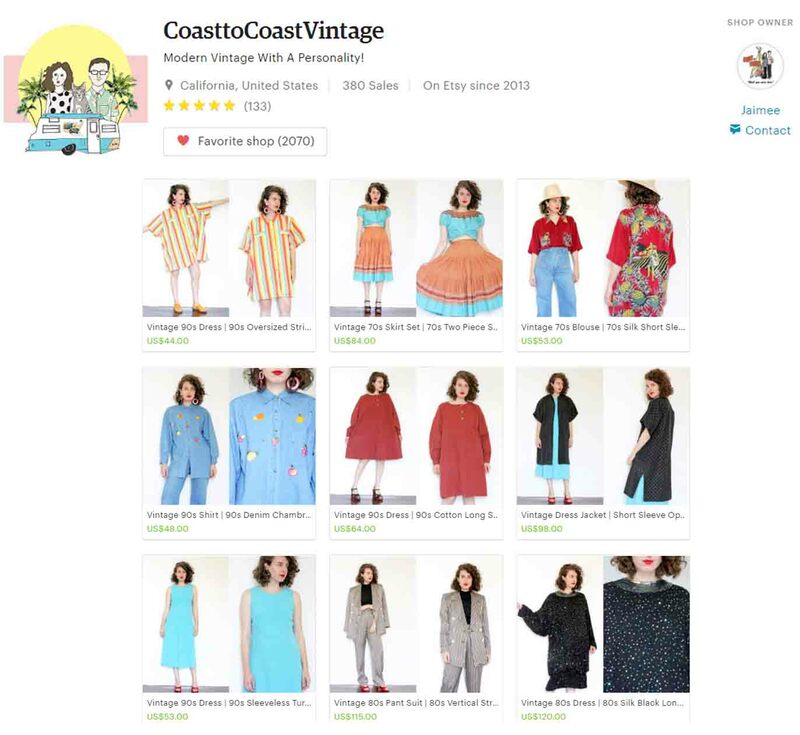 I'm obsessed with shopping for vintage on Etsy. 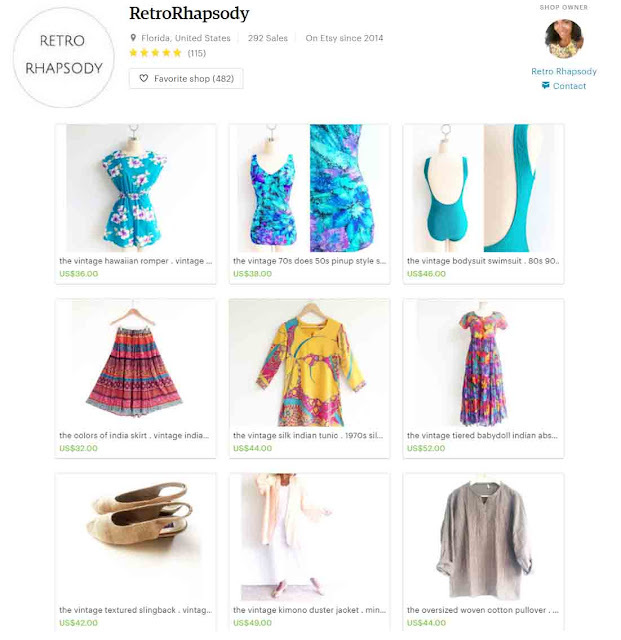 More than half of my vintage wardrobe is from items I've purchased on Etsy. I've been perusing and shopping on Etsy since 2012. I started while I was on the hunt for vintage boyfriend blazers and I've been an addict to shopping on Etsy every since. I love how I always find exactly what I'm looking for and more on this super easy to use shopping site. 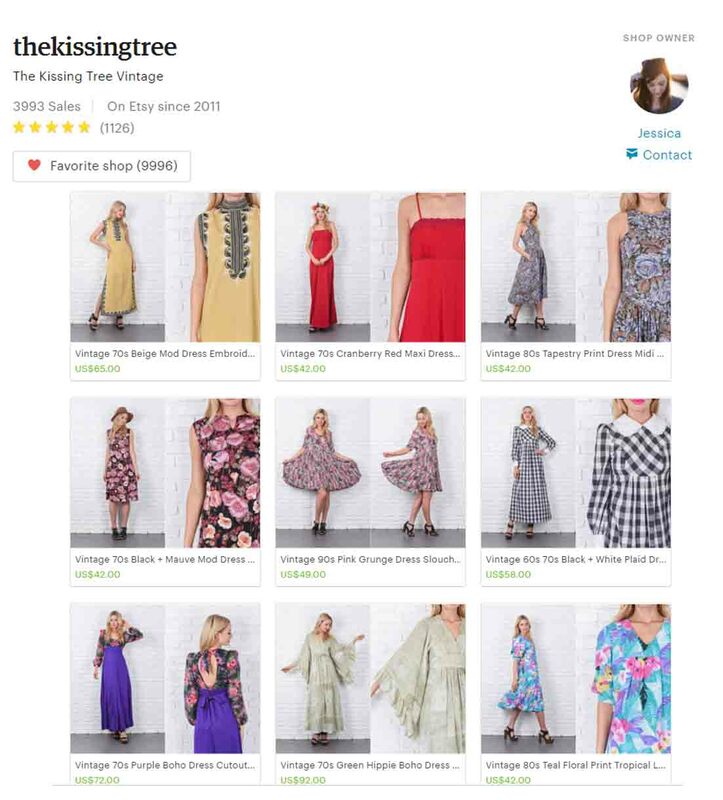 I follow over a hundred Etsy shops and possible am hooked because it's so easy for me to find vintage items I have on my wishlist. I drool over so many well curated and fun Etsy shops featuring some of the best vintage finds around. Here is a list of five of my top favorites that you have to check out now! I'm so in love with Coast to Coast! I've been following this shop for some time and as I confessed in my 6 Instagram Accounts to Follow Now post I can't go a day without checking their Instagram feed. Jamiee, the shop owner is a fellow color lover and if I could I would buy every piece in the shop. 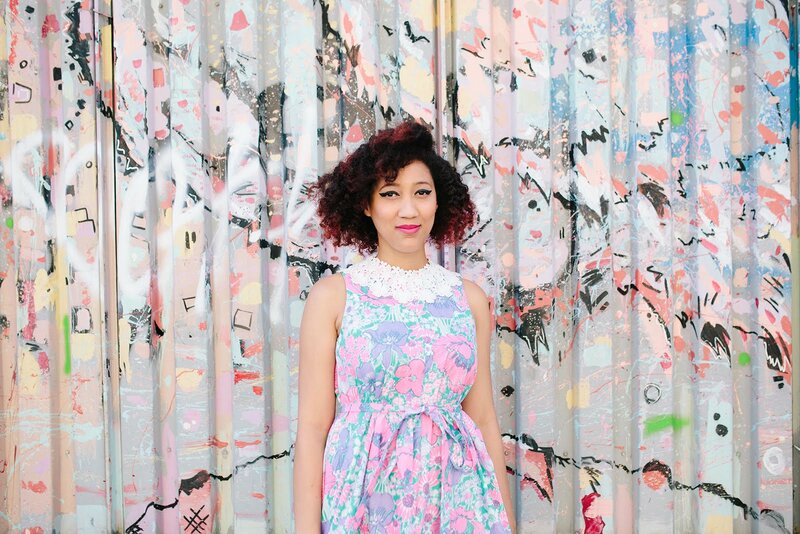 You'll love the bright and fun vintage pieces in this shop that are perfectly curated. Head to their Etsy shop now and you'll also fall in love with this fun and cheery shop. Also you have to follow them on social media for your daily dose of bright fun colorful vintage pieces that will surely put a smile on your face and make you want to shop 'til you drop. I can't get enough of Black Moon Sky. This is the cutest vintage Etsy shop that is well curated and so much fun. I want to buy everything in the shop as the model is always perfectly styled and looks amazing in every piece. I discovered this shop while searching for vintage jeans and soon became hooked on checking out the denim along with the statement dresses and skirts. I'd be on cloud nine if I could buy all the pieces from this shop as they go so well together and create the perfect fashionable and stylish story. 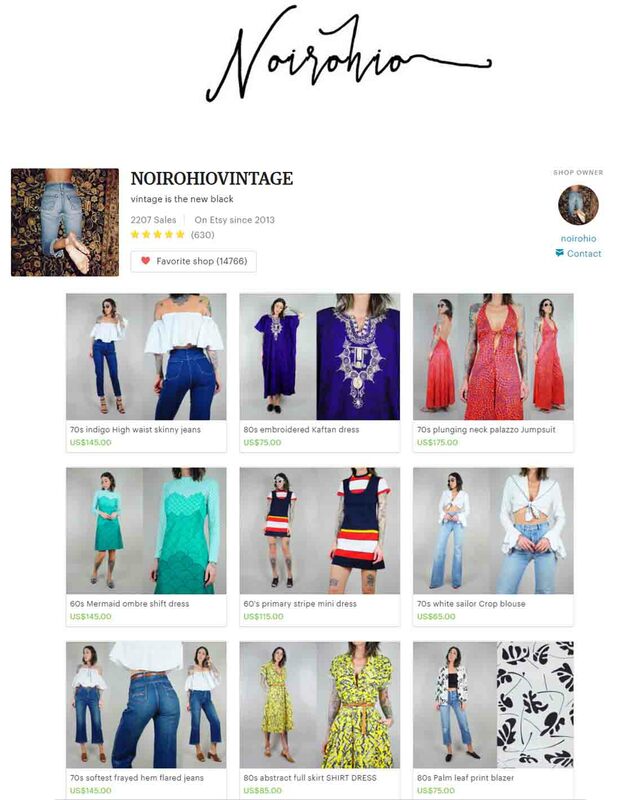 Head to this shop now to find a pair of vintage jeans or two as well as the perfect dress and/or skirt that will surely get you tons of compliments. Make sure you follow them on social media! Are you addicted to shopping on Etsy like me? 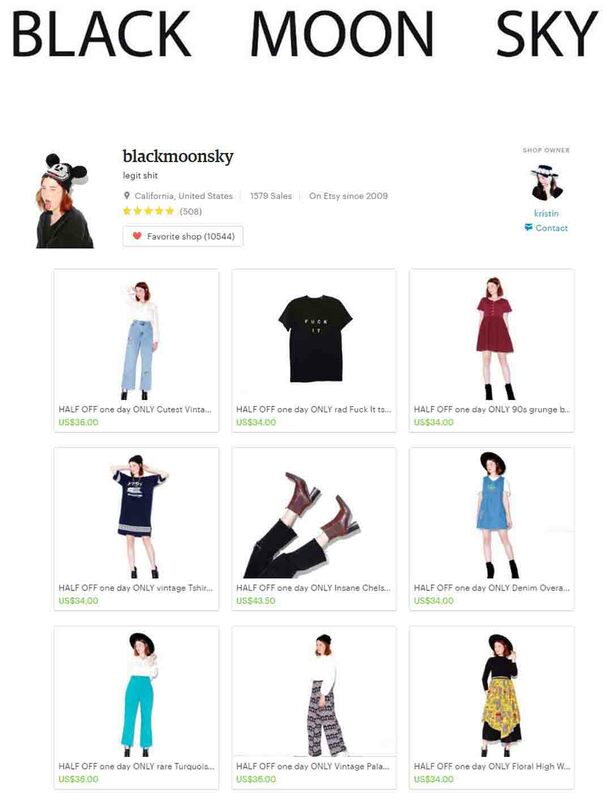 What's your favorite Etsy shop (so I can check it out)? Thanks so much for reading. Please comment away below! !